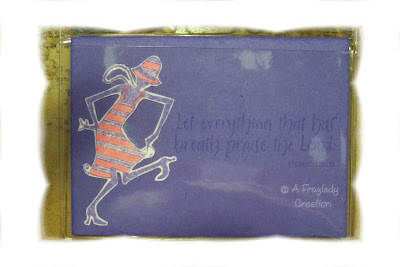 Today I will share with you the next few pages from the little booklet I made my mom. Most again use some TAC set or another - they seem to be the ones I reach for most :) All inks are the Pallete Inks. This is hard to see the paper and ink are so close but IRL it is easier to read. 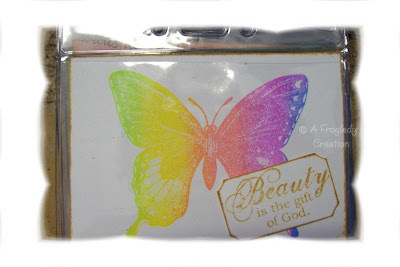 it says "Let everything that has breath praise the Lord"
The butterfly is done using one of the rainbow inkpads and then I stamped the sentiment and mounted it with a bit of foam tape. This uses a partial cut out of one stamp (the flower) which I added an eyelet to with my Crop-O-Dile and then also used my Copic Spica Glitter pens to color the flower and the rainbow. I finished the flower off with a tiny (teeny tiny!) green gem. 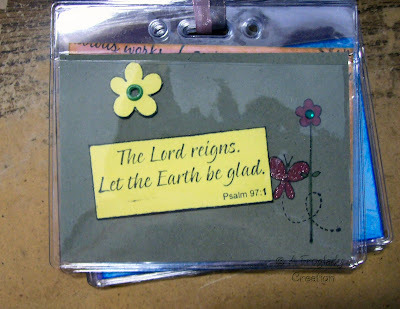 Again this one I mounted the sentiment up with some thin foam tape I had pieces of left. I sorta messed this one up - wait no mess ups in stamping just different opportunities! 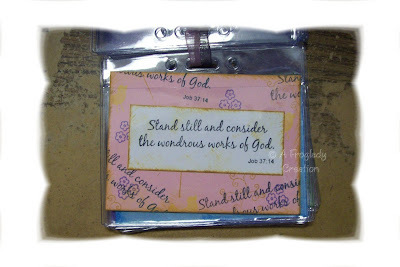 So I random stamped all over the background and edged it then stamped the sentiment and mounted it in the center. Again thanks for checking my blog out - I appreciate it. The last of the booklet will come tomorrow.